Indonesia is a country in Southeast Asia that is situated between the Indian Ocean and the Pacific Ocean and covers an area slightly 3 times the size of Texas. The destination has attracted more than 1 million tourists per month, who are interested in its beaches, volcanoes and its unique culture, marked by the Hindu and Buddhist kingdoms, by the spread of Islam and the Dutch colonization. The constitution guarantees religious freedom, but the government only recognizes 6 official religions for Indonesians: Islam, Christian Protestant, Christian Catholic, Hindu, Buddhist and Confucianism. Islam is the majority religion in Indonesia, and the country has the largest Muslim population in the world. Religions other than the official six are considered beliefs and are not legally practiced. Besides, the Indonesian government does not recognize agnosticism and atheism, and blasphemy is against the law (an example of that, is the conviction of the former governor of Jakarta. The governor, who is Christian, was accused of blasphemy for referring to a verse in the Qur’an during his reelection campaign in 2017. He was found guilty and was sentenced to 2 years in prison). The variety of religions may vary depending on the region of country that you are in. For example, Jakarta has a mostly Islamic population, while in Bali the majority is Hindu. But unlike in other countries, where religions are constantly at unease with each other, there is more tolerance and harmony in Indonesia. Syncretism is very present in the country and one proof of this is the Hinduism practiced in Bali, that has some influences of Buddhism, animism (the belief that all natural things, such as plants, animals, and rocks have spirits). Another example of religious diversity is the representation of Christian, Hindu and Muslim commemorative dates in the calendar of public holidays. Indonesia is the largest archipelago in the world and consists of thousands of islands - altogether more than 17,000. They are arranged in 8 large groups, that you will probably hear a lot: Java, Sumatra, Bali, Nusa Tenggara, Sulawesi, Kalimantan (the Borneo section that belongs to the country), Maluku and Papua. With so many islands, the government is taking a census to register them with the UN. The hope is that after registration it will be easier to protect the territory and the rich local marine life. It will also prevent companies and resorts from taking possession of unregistered islands, and once Indonesia is aware of the number of islands, it can no longer lose them, as it did in 2002. After losing a dispute in the International Court of Justice, the Ligitan and Sipadan islands are no longer part of Indonesia; instead, they were given to Malaysia. Indonesia is part of the Pacific Ring of Fire. This zone of instability is responsible for most of the earthquakes occurring on the earth’s surface. For this reason, earthquakes occur almost every day in the country, although many are minor and cannot be felt. In 2004, an earthquake of magnitude 9.1 started in Sumatra - Indonesia's largest island grouping - and triggered a tsunami that hit 14 countries in the Indian Ocean. The event was considered one of the greatest natural disasters in history and killed more than 230,000 people. The most impacted countries, in addition to Indonesia, were Sri Lanka, India and Thailand. Following this event, the Indian Ocean Tsunami Warning System was created, and Indonesia is currently responsible for issuing tsunami warnings to the region, together with Australia and India. In addition to having many earthquakes, the region of the Pacific Ring of Fire also has a strong volcanic activity. This makes Indonesia one of the countries with the largest number of volcanoes in the world. One of the largest volcanic eruptions in history occurred in Indonesia. The Krakatoa volcano erupted in 1883 and not only destroyed the island on which it was located, but also caused several tsunamis. The waves reached 40 meters high and traveled to different parts of the world. The disaster left more than 36,000 casualties. Apart from Kalimantan, every group of Island in Indonesia has volcanoes. Currently, the archipelago has approximately 130 volcanoes (Mt Merapi, located about 400 kilometers away from the capital, is the most active of all; and Mt Agung, in Bali, was one of the last to erupt). 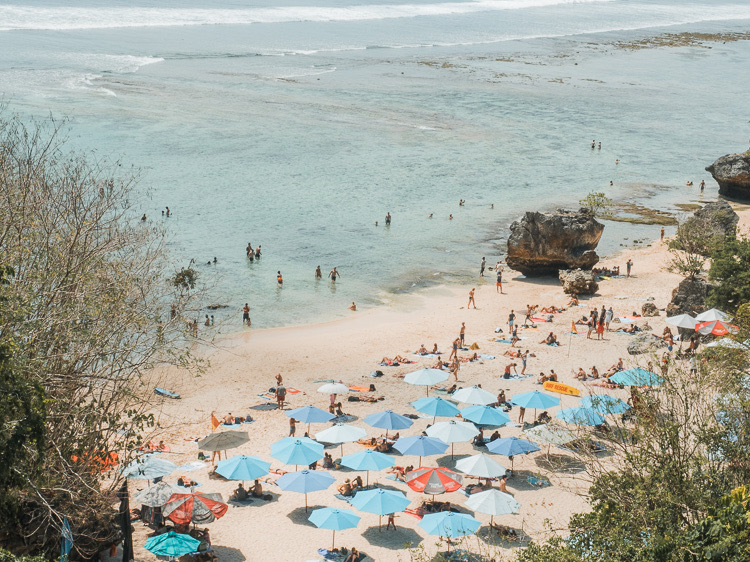 Bali can be considered the most complete destination in the country and it really is a region that deserves to be visited - who would not want to see beaches, volcanoes, waterfalls, temples and rice plantations in the same place? However, diversity is a word that defines Indonesia, and the country has so much to offer, that Bali can be considered just the start. Bali can be your gateway to discover everything that Indonesia has to offer, but do not just stay there. Ideally, take advantage of the fact that there are many low-cost Asian airlines and plan to stay in the country longer. From the temples of Yogyakarta, to the volcanoes of Java and Sunda, to the pristine nature of Raja Ampat and the beaches of Sulawesi, there are many places worth visiting in the country. Please, do not think that Indonesia is just Bali. Did you like the post? Then, click here to see others about Indonesia.